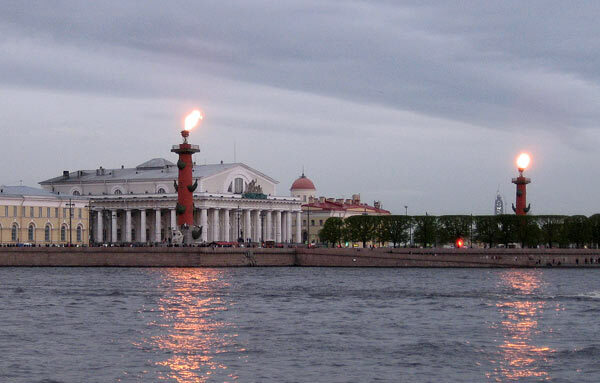 The lights on the columns, on Vasilievsky Island are lit only on days of great holidays. The lights on the columns are lit only for a few hours, usually in the evening. The photo was taken on May 27, 2017 from the embankment, next to the Winter Palace. May 27th City Day celebrated in St. Petersburg.